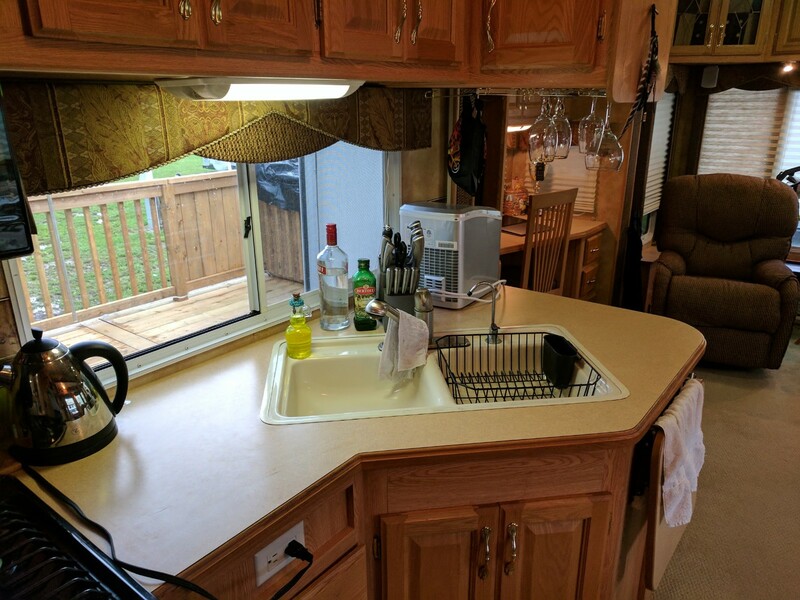 This is a couple’s luxury trailer, solid oak cabinetry throughout, central air and heating, build in fridge and freezer, gas stove/oven, microware all the necessities. 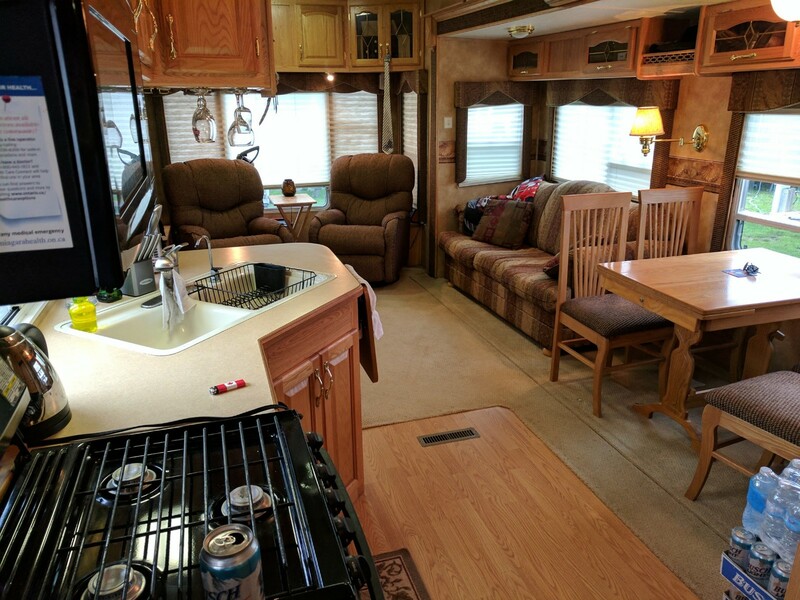 Willing to sell with everything you need all you need and more to go camping today bring only your food and personal belonging. 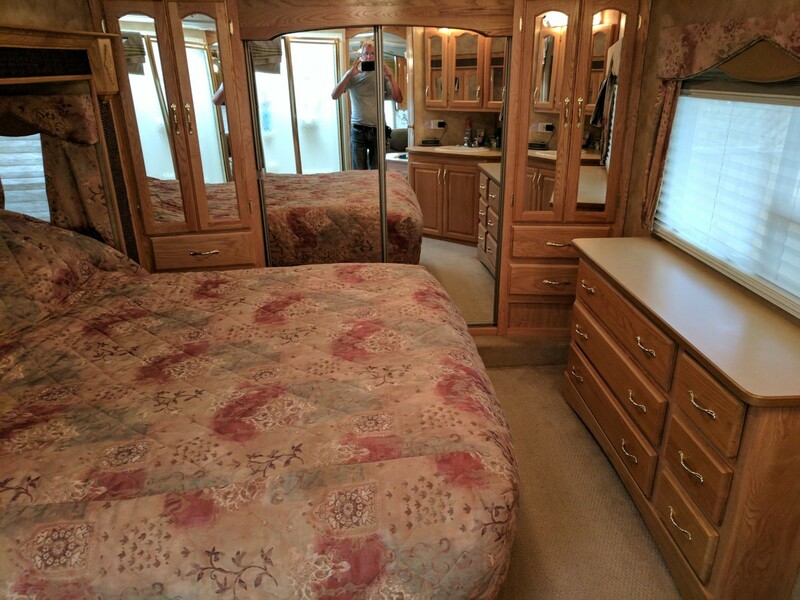 This trailer has it all and is in excellent condition needs to truly been to be appreciated. 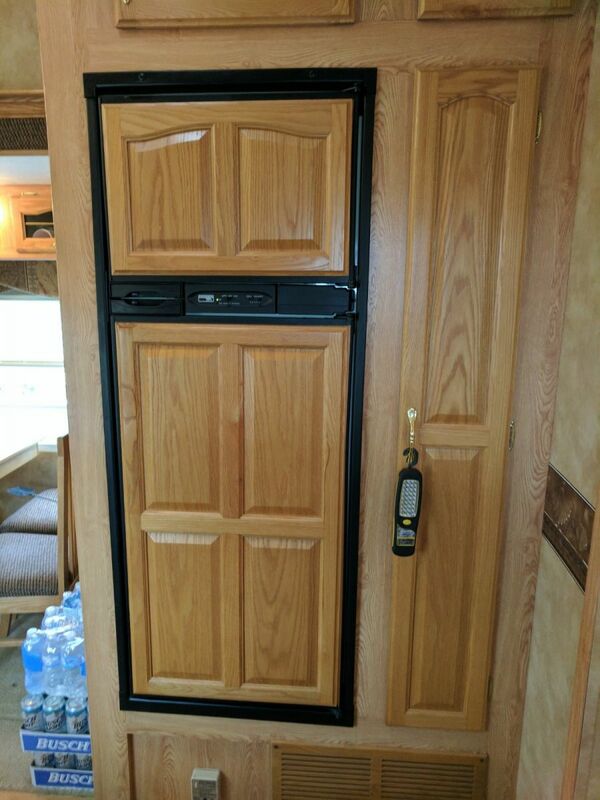 Indoor fridge/freezer, microware gas oven/stove and slide away pantry. 9 ft celling in main area approx. 6 in bedroom. 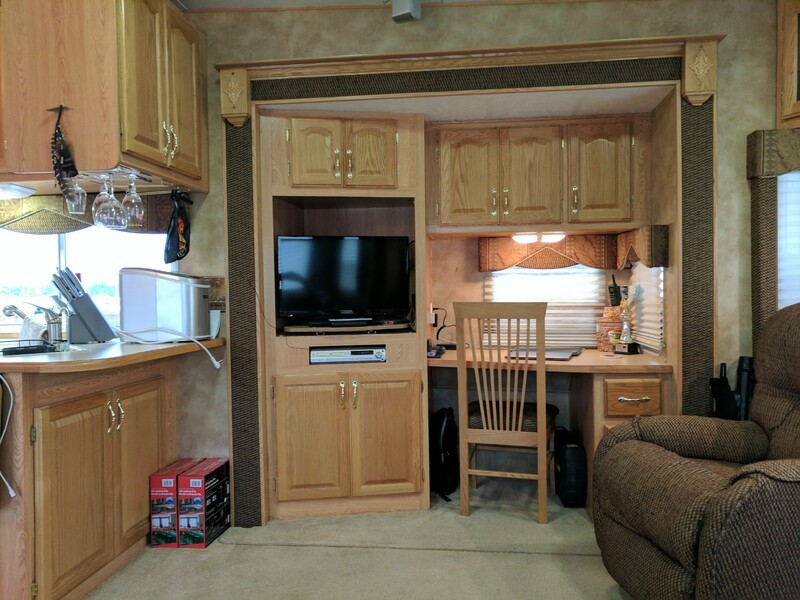 3 slide outs 2 side outs to create a 14 ft wide living room area 1 to create and large bedroom. 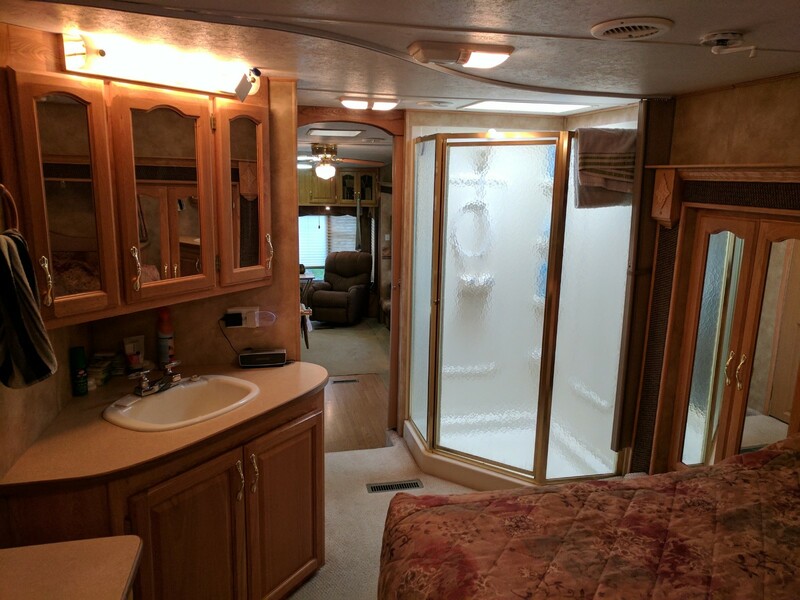 Bedroom has queen size bed with full size shower, sink, and toilet off hallway. Lot was completely sodded last year. 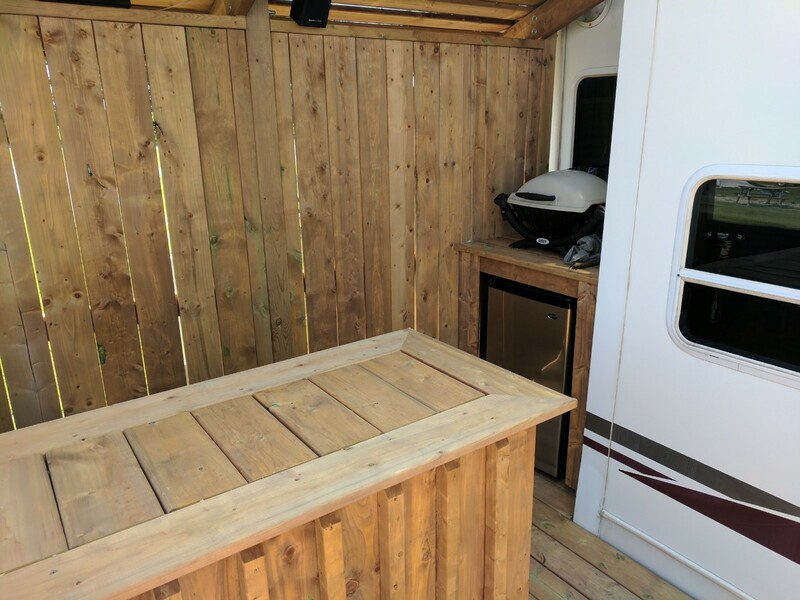 Brand new deck 32 x 10 with two levels fully lit with LED colour changing lights extra wide extra sloping easy steps, Tiki bar with out door mini fridge and Webber BBQ and dual door motorcycle garage built into deck, wind breaks at both ends for the breezy days privacy railing on lower level, lower level flooring is composite rest of the deck is wood. 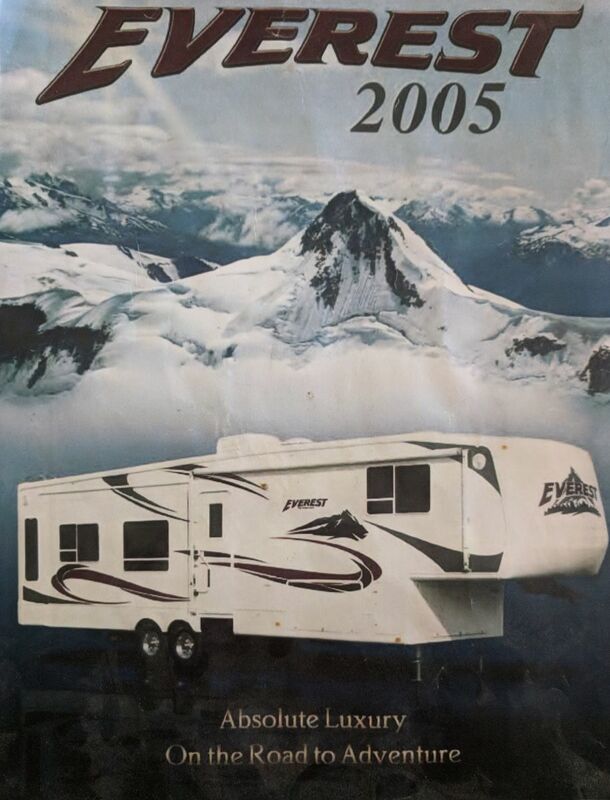 There is far too much to list about this trailer can be viewed on request. 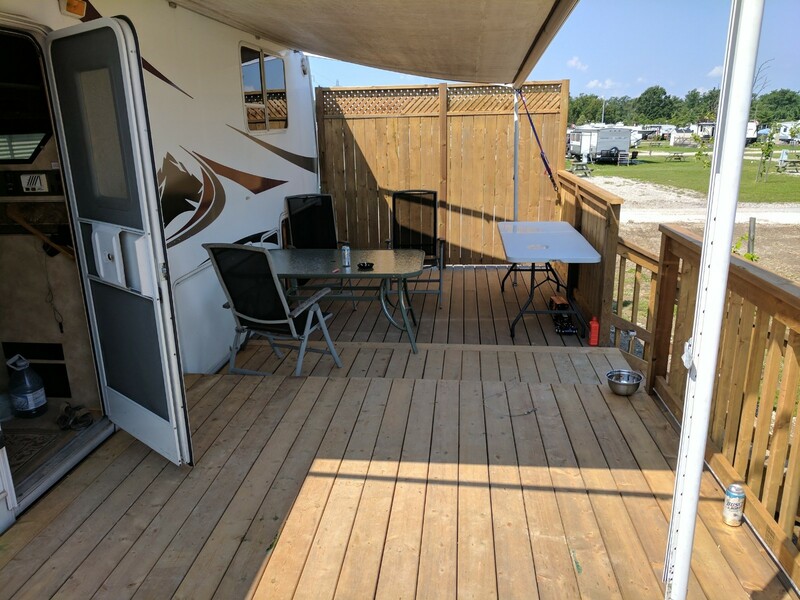 Do to changes with my circumstances I can no longer spend the time I would like to enjoying everything there is to offer with this beautiful trailer/deck and therefore have decided it best for me to allow some else to enjoy it as much as I have. 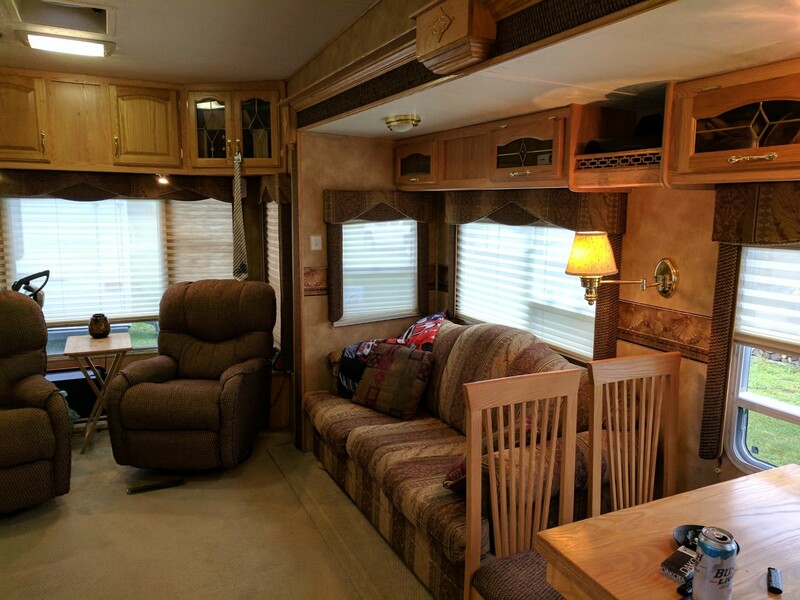 Asking $29,000 with everything, pots pans dishes cooking utensils loads of things all in nearly new condition. 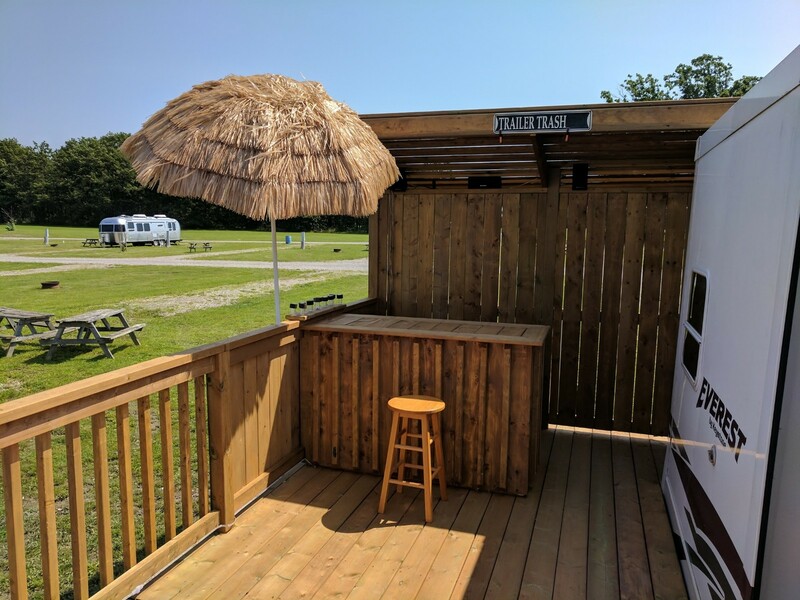 Can be seen at lot 335 N.E.T camping resort.